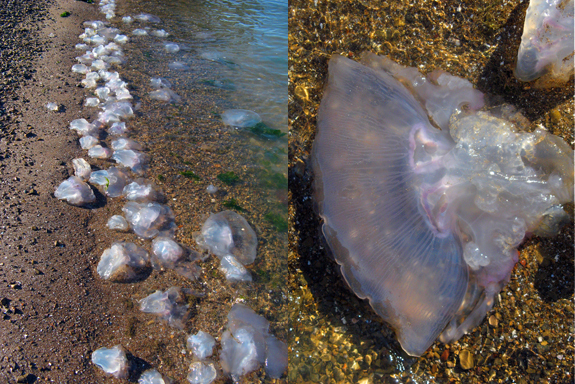 Took the kids to our local SF Bay beach and was shocked to find a jellyfish invasion along the shore. We've seen the occasional one there before, but never anything like the hundreds (thousands?) we saw today. I did a quick Google search to see if there was any kind of seasonal or ecological reason for it but couldn't find anything. 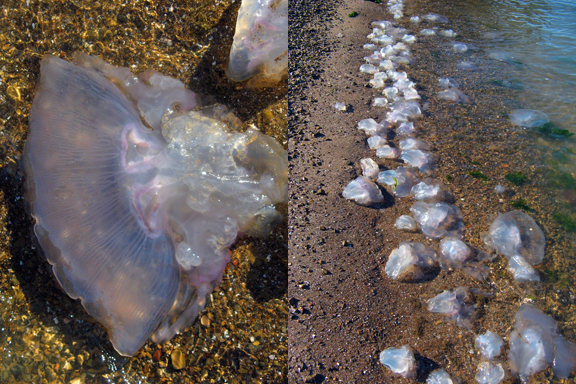 Any marine biologists out there who can tell me what's going on?